Hey, it’s party season. What do you need for a party? Decorations. Garlands. Probably a photo backdrop. 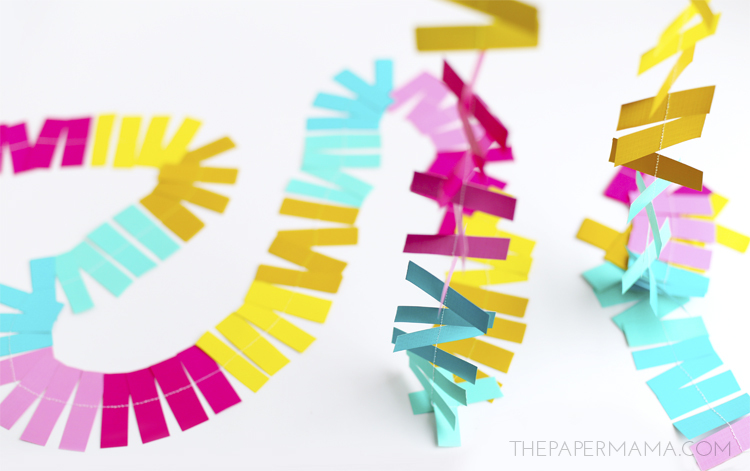 This paper creation is the perfect party decor because it’s inexpensive, easy to make, and pretty! 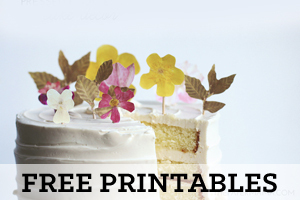 Want to make one for your next party? Check out the easy tutorial below. 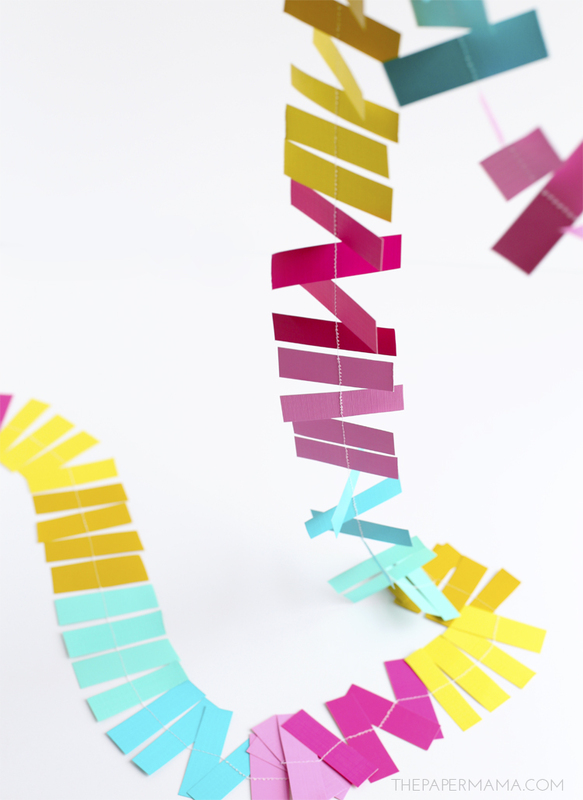 Step 1: Cut up each colored cardstock paper into 2.5 x 1/2 inch strips of paper. 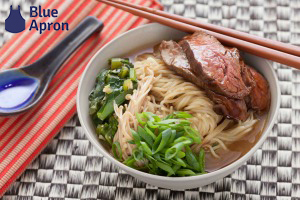 No need to be precise on size, this is just a guide. I hand cut all of my strips and they varied in shape and size. 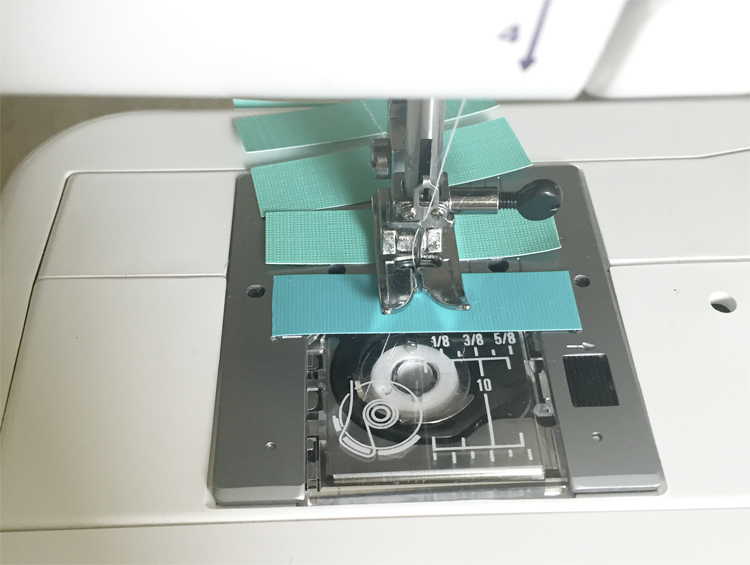 Step 2: Before you sew, pull out the thread on your sewing machine about 12 inches. 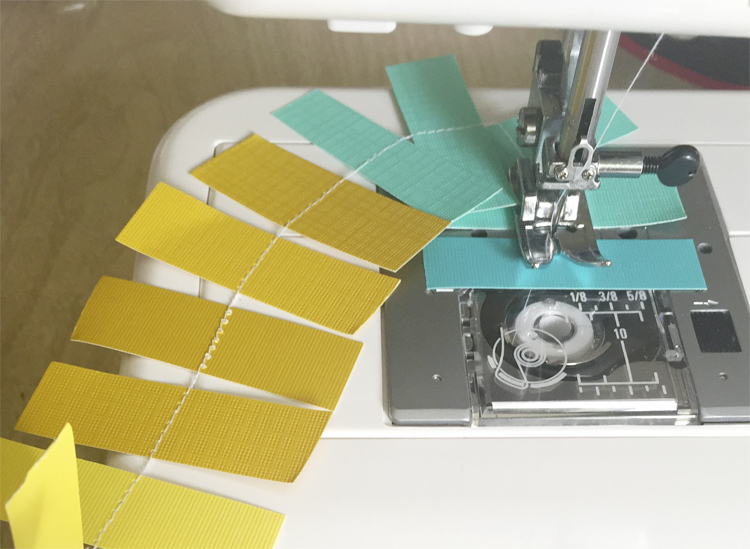 You’ll need this extra thread to hang your garland. Start sewing the paper down the center. 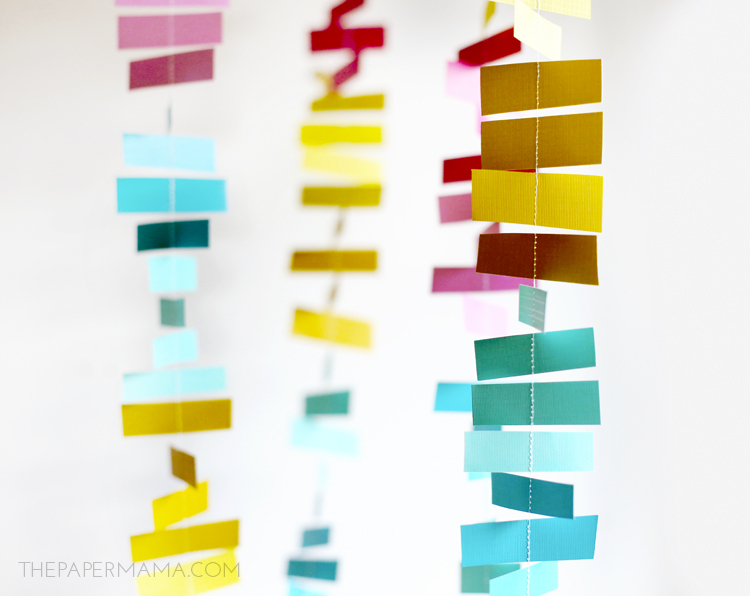 Be sure to keep a little tiny space between each paper strip so the garland paper can spin! Note: if you are creating a garland, just keep sewing until you are happy with the length. 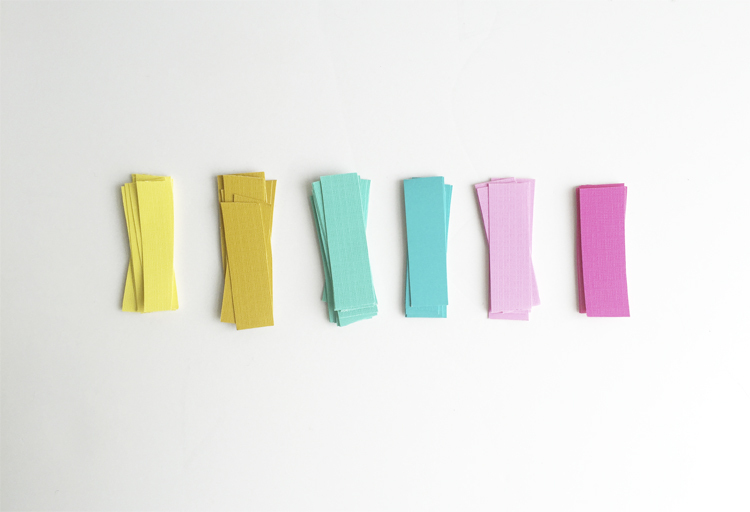 If you are making a backdrop, sew multiple strips (to the length you need). 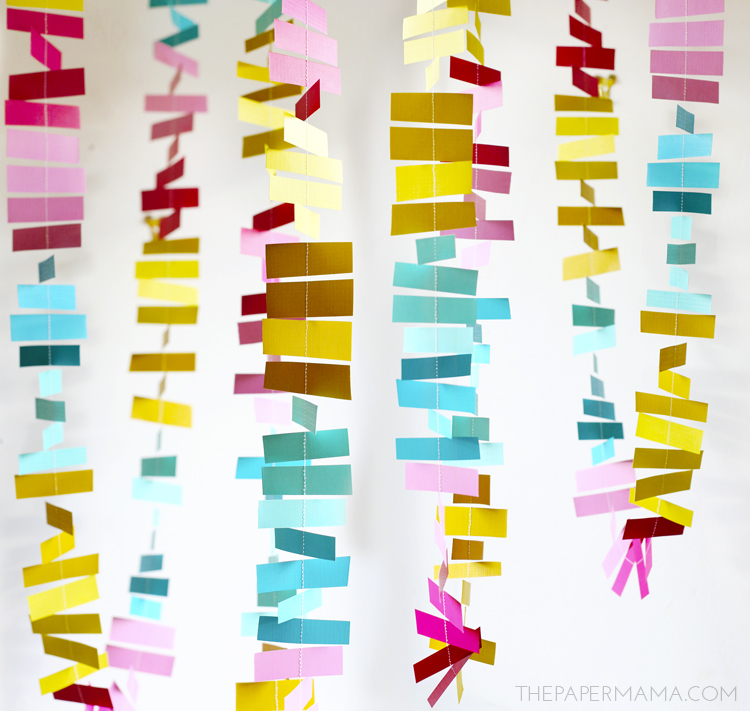 You will need more paper strips cut for a big backdrop. Step 3: When you have sewn your last strip, pull the thread out about 12 inches and trim. You’re done and the garland/backdrop is ready to hang! I suggest hanging these strips away from the wall so they can spin and twist. Very pretty. Total cost & time: $0 (I already had all the paper and thread needed for the project). It took me 1 hour to cut the strips and less than an hour to sew. Not bad! Are you wondering what the 50 DIY Days is? Each year I share a bunch of holiday DIY ideas, recipes, and guides to inspire you during the Fall. 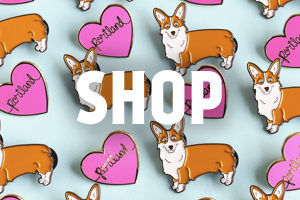 Starting now, through early December, you’ll find a ton of great ideas to get you ready for Halloween, Thanksgiving, Christmas, and any sort of holiday gift giving. You can check out this link to explore past DIY Days. I want to see your creations! Share what your making with me on Instagram. It could be one of my DIY’s, or a project you’re working on. Share with my IG account @thepapermama and use the hashtag #papermamafriends. Categories: 50 DIY Days, diy, Holiday - St. Patricks Day, 4th of July, and Other Parties!